Do Your Carpet’s need Cleaning? If your carpets are beginning to look old, faded, and dirty, it might be time for a deep clean from one of the best carpet cleaner companies in Eden Prairie. ChemFree Carpet Cleaning can help remove the layers of dirt and the stains from your carpet and make it look fresh, clean, and newly installed. We are proud of the fact that our products used to clean carpets are Green and safe for the environment. Many of the cleaning products used by other carpet cleaners contain chemicals that can be harmful to the environment, your family, and your household pets. We perform a process on your carpet using atomized H20 systems to help lift stains and remove dirt. The professionals who work for ChemFree Carpet Cleaning have many years of experience and are dedicated to making sure your experience with us is a pleasant one. You can contact us for more information by calling 952-451-5001. Choosing ChemFree was a no-brainer! The cleaning technicians employed by ChemFree Carpet Cleaning have years of cleaning experience and a desire to work closely with customers to ensure complete satisfaction. Our company is a leader amongst the commercial carpet cleaners in the Eden Prairie area due to our commitment to taking care of the planet by not using cleaning products that contain hazardous substances. We are dedicated to only using products that are natural and that use Green Chemistry. Our professionals can handle carpet cleaning jobs of any size; no job is too big, no job too small. Our prices are some of the best in the area, and we promise you will not be surprised by hidden charges. If you are interested in having your carpet cleaned today, call us at 952-451-5001. Cleaning your blinds and your upholstery rugs can be challenging and close to impossible. You might have tried to do these clean projects on your own, only to be frustrated by the lack of good results you seem to get. Rather than waste any more of your precious time on these projects, you need to contact a local blind cleaning company that has a reputation for doing quality work with quality customer service. 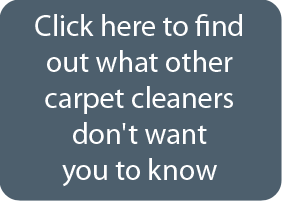 ChemFree Carpet Cleaning is the right company for you. Using environmentally sound cleaning products, we can get into all of those hard to reach places on your blinds. We also will make sure that your rugs are not too saturated so that they might be able to dry quickly. Call us now at 952-451-5001.